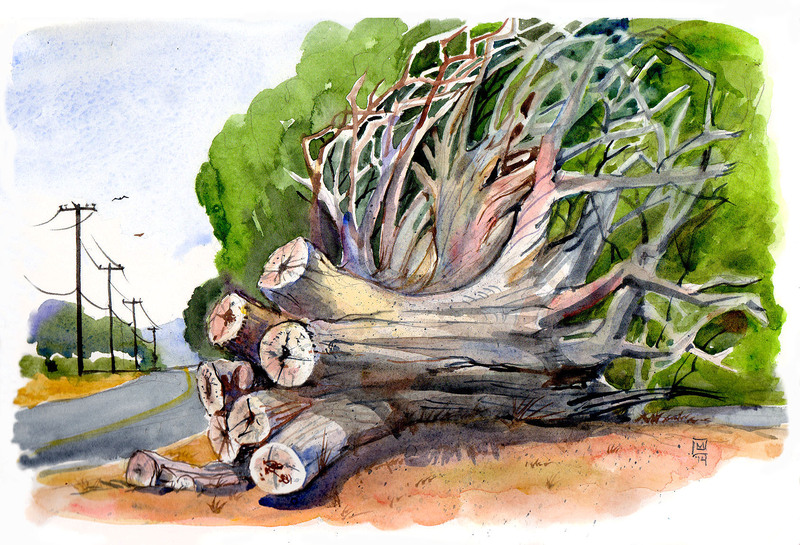 My take on the massive tree stump at the entrance to Oak Hill Farm. I decided to approach this drawing with my brush and watercolor. I was hoping to show how huge this tree stump really was. The roots were sticking probably 20ft or more into the air at the base. The bottom half of the root system was buried in the ground, so the roots could have been 40ft across or more!